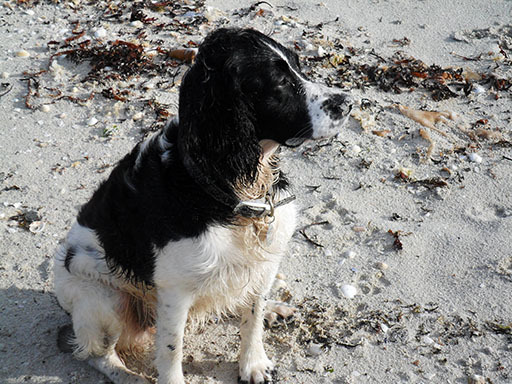 Gem is a beautiful 7 year old Springer Spaniel, who for a few years suffered with intermittent stiffness, lethargy and gastrointestinal signs. She visited the vets for treatment a couple of times and each time improved but the signs reoccurred. In December 2015 she showed signs of lethargy, quietness and vomiting again and came to see vet Hannah at Quantock. This time it was decided to investigate things a little further. 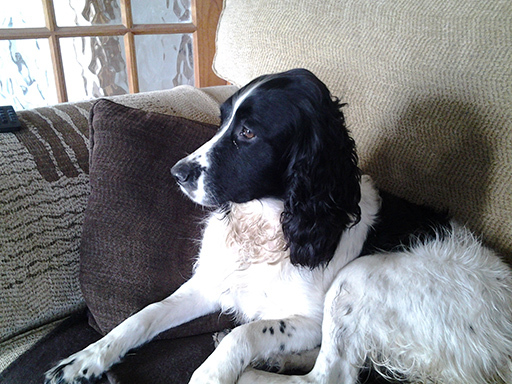 Bloods were taken and came back as normal so Gem went home on symptomatic treatment. Over the week she gradually got worse and came back to the hospital. It was decided she was very weak and would need to stay at the practice for intensive care. Repeat blood tests, including a specialist test called an ACTH stimulation test, and a urine sample were taken. Only then was the true cause of Gems troubles diagnosed- she had an illness called Addisons. Hannah explains “Addisons is a hormonal disease where the body doesn’t produce enough of the stress hormone cortisol. Often affected animals are middle aged, female dogs who have signs of lethargy, vomiting and diarrhoea which comes and goes. Often it can take a long time to reach the diagnosis as signs are intermittent and vague but it can be life threatening. Since her diagnosis Gem hasn’t had any episodes of lethargy or gastrointestinal signs, is fit and well and full of life! Congratulations lovely lady on being awarded our latest ‘Pet of the Month’!